This Detergent is from the Janitorial Direct own brand and is an effective washing up liquid. It comes in a 5 litre bottle making it an economical purchase that is ideal for workplaces and commercial properties such as hotels, restaurants and cafes. It provides a powerful clean to crookery and kitchen utensils when needing to wash them by hand. It is available to buy online as a bulk buy option. A well known brand, this Fairy washing up liquid is ideal for use in domestic properties, workplaces and commercial premises. 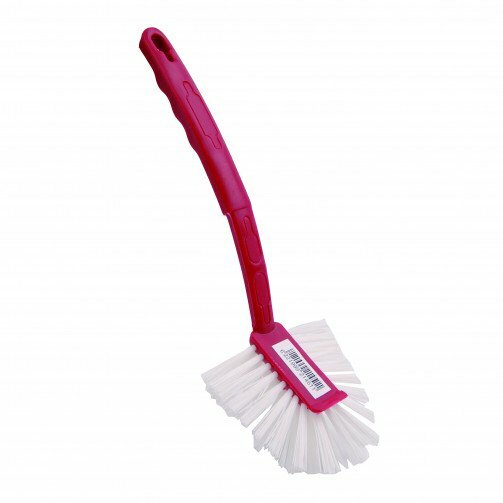 It is ideal for when needing to wash up crockery and kitchen utensils by hand; it not only removes grease and grime but is also available in an anti-bacterial version. It is available to buy online as a bulk buy option. A plastic washing up brush. Colours and design may be different to the washing up brush pictured here.